Honouring traditional Moroccan style, the 27 rooms and suites at Villa des Orangers are adorned with rich fabrics and warm colors that come together to create a cozy atmosphere. No matter whether your room opens up onto a private terrace or a quiet courtyard, you’re guaranteed a peaceful retreat in the heart of Marrakech. We love the Master Suites – set over two floors with a private terrace, it’s your own private getaway. 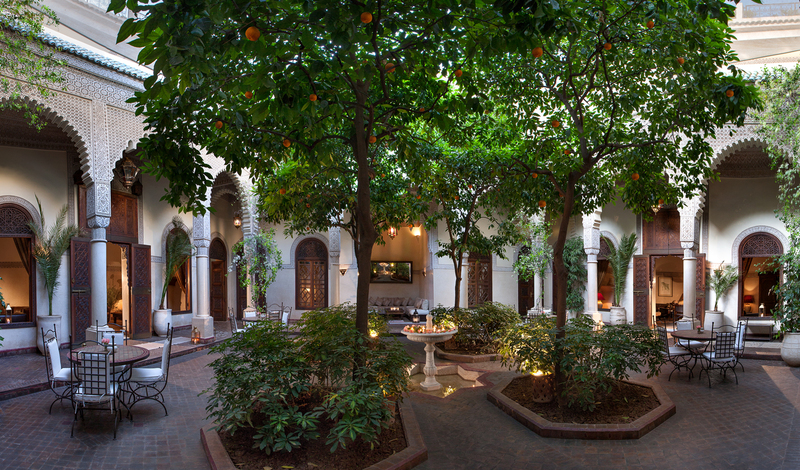 To really feel at home though, opt for the Private Riad. Two suites arranged around a private pool, shaded by banana palms? It’s the definition of dreamy.